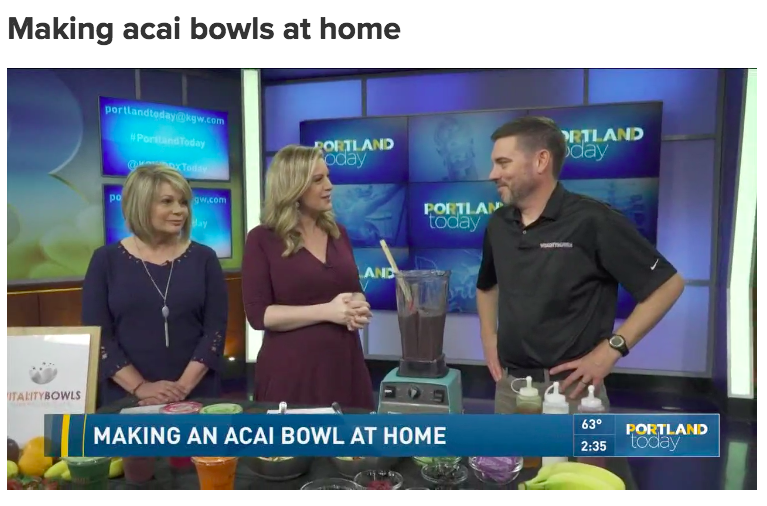 BY MOUNTAIN VIEW PATCH – Vitality Bowls, which specializes in açaí bowls – a thick blend of the Amazon’s antioxidant-rich açaí berry, topped with a variety of superfoods – announced today the opening of its café in Mountain View. The new franchise location will be the first for local 18-year-old Angelo Camacho and will mark the brand’s 50th open location. Slated to open on May 10, the new restaurant will be located at 650 Castro Street, Suite 140, conveniently situated at the busy intersection of Castro Street and Church Street in downtown Mountain View. 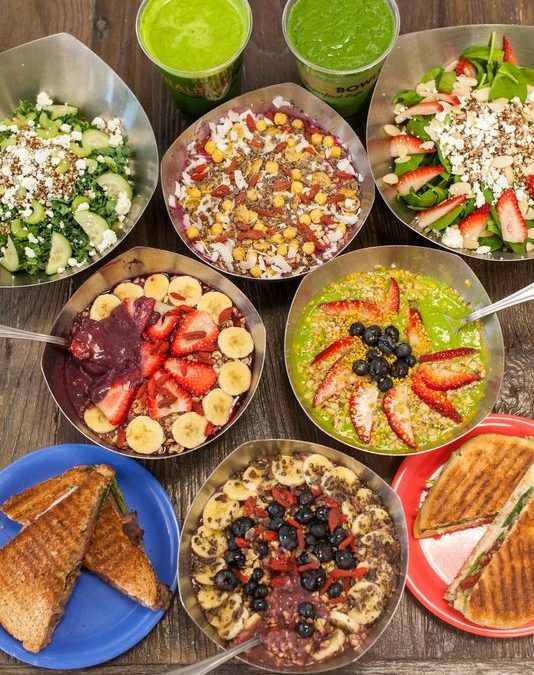 This restaurant will be the 30th Vitality Bowls café in California, joining the 49 locations based nationwide. The menu features a variety of options, such as the Green Bowl (with organic graviola, spirulina and hemp seeds), the Dragon Bowl (featuring organic pitaya, coconut milk and bananas) and their signature Vitality Bowl (with organic açaí, strawberries and honey). Plus, fresh juices, soups, panini and salads are available in each café. Organic cold brew nitrogen-poured coffee and organic kombucha will also be available on-tap. Since launching in 2011, the brand has ignited significant growth. 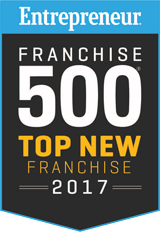 In 2014, the concept began franchising and now has more than 100 locations open and in development across the country. BY QSR – Fueled by the desire to spread knowledge of food allergies, Vitality Bowls is spearheading a campaign to shed light on food allergy awareness, advocacy and education. Throughout the month of May, Vitality Bowls cafes across the country are encouraging guests to try the Bowl of the Month—the Super Berry Bowl—in support of the Food Allergy and Anaphylaxis Connection Team (FAACT). For each Super Berry Bowl sold, Vitality Bowls will donate 10 percent of the proceeds to FAACT, a nonprofit organization dedicated to increasing education about food allergies and anaphylaxis and enhancing the safety of children and adults worldwide affected by food allergies and anaphylaxis. Many Vitality Bowls locations also include a full-service coffee bar, complete with espresso and superfood drinks that are packed with antioxidant-rich açaí, pitaya and matcha—for example, the Açaí Latte (espresso, açaí, coconut sugar, steamed almond milk) or the Superfood Mocha (espresso, CaCoCo superfood chocolate blend, steamed milk). Most cafes offer organic cold brew nitrogen-poured coffee and organic kombucha on-tap. BY FRANCHISING.COM – April 20, 2018 // Franchising.com // SAN RAMON, Calif. – Fueled by the desire to spread knowledge of food allergies, Vitality Bowls is spearheading a campaign to shed light on food allergy awareness, advocacy and education. BY THE POUGHKEEPSIE JOURNAL – Lesa Boom saw an opportunity in Wappingers Falls. She and her husband, Mickey, moved to the area two years ago. Since then, they said a relative lack of healthful food options has grown increasingly apparently. It’s that void that inspired the couple’s decision to open a Vitality Bowls location. “It really feels like the right time to bring something like this to the area,” said Lesa Boom, co-owner of the business. Vitality Bowls will bring its signature açaí bowl and other healthy options to Dutchess County when it opens mid-2018 at 1839 South Road in Wappingers Falls, the former Castaldo’s Deli location. The North Californian chain specializes in superfoods, like açaí and goji berries, featured in various bowls, juices and salads. The restaurant also offers paninis, juices, coffee, kombucha and a variety of other dishes. There are about 100 Vitality Bowls restaurants either in-operation or under construction in the U.S., with one New York store in Smithtown on Long Island. Mickey Boom, who said he has visited chain locations while on business trips around the country, called the menu “unlike any other fast-casual eatery” in the county. The couple has ordered signage for the restaurant and is currently looking into contractors.